The efficient use of energy is not only necessary for basic material standards of living, but is the fundamental basis of a nation’s economic development. As a large consumer of energy, China is heavily dependant on fossil fuels such as coal, oil, and natural gas. Yet the limited supply of fossil fuels and its impact on the environment has resulted in the need to find alternative energy sources to maintain sustainable economic development. Energy is used to heat water and create steam for production in light industries such as the food and beverage industry, tobacco, paper making, textiles, and chemicals, as well as in service industries such as hospitality, education, and in hospitals. Similar processes are also used to heat urban households in northern China during winter. Coal is still the predominant source of energy for these purposes, although its use confers a number of disadvantages. Besides being nonrenewable, coal produces dust, sulfur dioxide and nitrogen oxide. The greenhouse gas, carbon dioxide, released by coal is one of the primary contributors to global warming. Before the emergence of biomass pellet fuel, potential substitutes for coal were limited to diesel, natural gas and/or cogeneration. Natural gas is comparatively inexpensive but due to its limited availability—particularly in China—its application is minimal in the nation’s industrial applications. Diesel fuel can be purchased all over China, yet its price is high and at times in short supply in some areas. Diesel oil and natural gas too are nonrenewable fossil fuels which contribute to the release of carbon dioxide into the atmosphere. In contrast, biomass energy is largely the product of photosynthetic organisms and is hence renewable. It releases solar energy stored by natural chemical processes, made sustainable by the regenerative growth of plant life. The burning of biomass fuels is carbon neutral since the carbon dioxide released in the process is that which was stored during the life of the plant, while fossil fuels add pollutants to the atmosphere which would have otherwise remained stored. 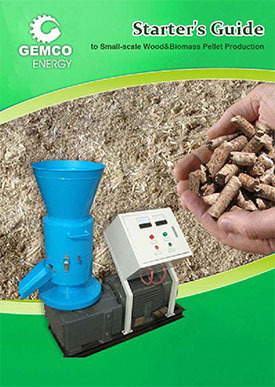 Biomass pellet fuel is produced by mechanically compressing herbaceous or ligneous plants, with or without additives, to form homogenously shaped fuel products. Clean and environmentally friendly biomass pellet fuel is thus an effective substitute for diesel fuel, natural gas, and/or coal. It has become a concerted effort worldwide to explore new energy sources to reduce the dependence on fossil fuels since continued dependence will likely lead to energy shortages and to the amplification of detrimental effects from pollution, such as global warming. Working toward sustainable energy is necessary to ensure increased living standards for future generations. AKG BiofuelTech is sincerely looking forward to the participation of others in this field, particularly those actively devoted to clean energy. A combined international effort is necessary to make a difference.